After the closure of Tonopah’s only hospital last year, a plan is in the works to make sure any other rural area hospitals don’t suffer the same fate. Congressman Cresent Hardy introduced bipartisan legislation last week aimed at strengthening the network of rural health care facilities throughout the state. Hardy wants to ensure that Nevada residents in rural areas aren’t left high and and dry like Tonopah residents were when Nye Regional Medical Center shut down in August, forcing them to drive hours away to receive medical treatment. Hardy paired with Democratic Congresswoman Terri Sewell from Alabama to introduce the Rural Health Enhancement and Long Term Health Act of 2016. The Rural HEALTH Act would authorize a state grant program that would provide $15 million for five years to improve state rural health systems. The program was last authorized in 1992 and has devoted $10 million in years past. 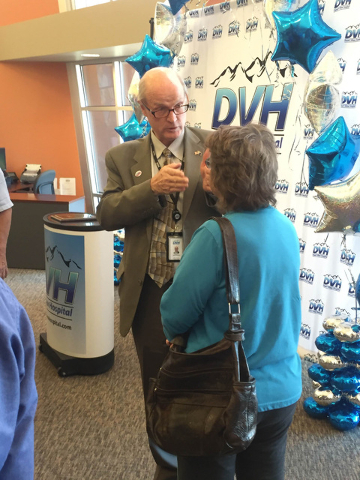 There are 14 rural hospitals listed in Nevada, including Desert View Hospital in town, that could be impacted by the bill but Desert View Hospital Chief Executive Officer Kelly Adams explained it is unlikely that they will take advantage of the program. The Rural HEALTH Act intends to support existing rural hospitals through State Offices of Rural Health and incentivize construction of new facilities for communities in need. The incentives for new construction includes $100,000 that can go toward construction and improvements and if Desert View did utilize the bill, it could be for updates, although the money amount is not great. The plan also requires the federal Department of Health and Human Services to report on the state of America’s rural health systems on a yearly basis. The annual report hasn’t been done since 2003, and would examine the number of hospital closures and their causes. “The proposed reauthorization of the SORH grant program will allow the Nevada SORH to continue to provide vital technical assistance and support to rural and frontier hospitals in Nevada,” said Doctor Evan Klass and Director Gerald Ackerman with the Nevada State Office of Rural Health. With Nye Regional closing being a prime example, medical services are not a given in some rural areas. The Rural HEALTH Act of 2016 is supported by the Nevada Hospital Association, the Nevada State Office of Rural Health, the National Organization of State Offices of Rural Health and the American Osteopathic Association. Renown Medical Group, scheduled to open a new medical facility in the former space of Nye Regional Medical Center in Tonopah, will open June 1. Renown will lease the building through Nye County. The facility will operate Monday through Thursday once open and will offer access to primary care and specialty care through telehealth technology. The clinic will not offer emergency services. The medical center will offer primary care and more than 30 types of specialty care including neurology, gastroenterology, endocrinology and behavioral health. Plans are also in the works to provide on-site lab testing, including strep, flu and pregnancy tests. X-ray services will also be on site.